NIACL Recruitment 2018 For 312 Administrative Officer (AO) Post. 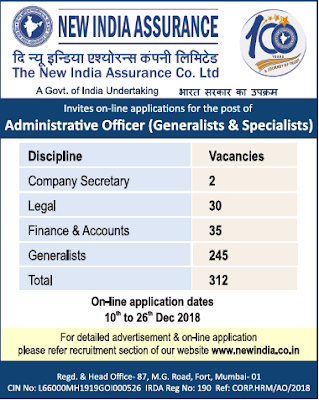 New India Assurance Co Limited (NIACL) Recruitment 2018 For Administrative Officer (AO) Post. No of Vacancy- 312 Posts.